April 15 is celebrated as Electronic Warfare (EW) Specialist Day in Russia. Technology is in active development today and new systems are designed for warfare on the ground, in the air and at sea. 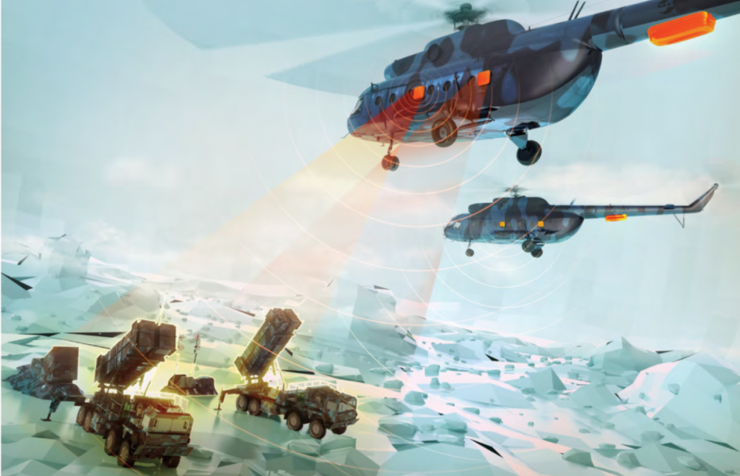 Last year, the Russian Army started testing integral parts of a ground-based electronic warfare system capable of defending troops and civil facilities against aerospace attacks. 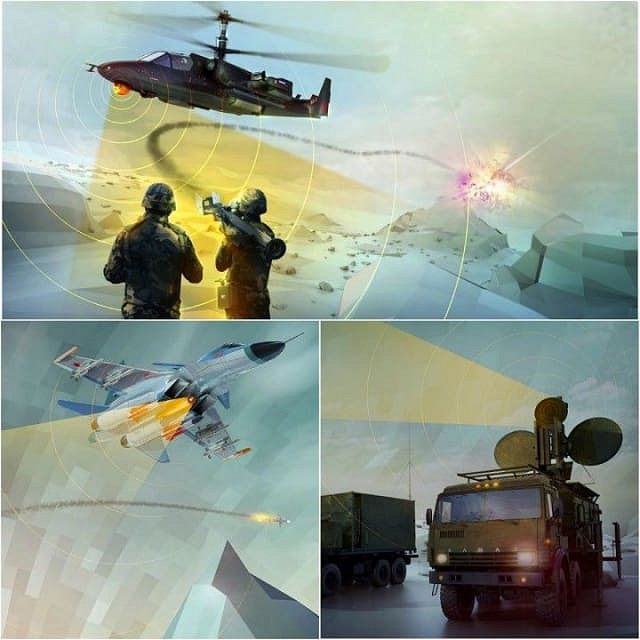 An electronic warfare system is a major element of the military organization of a state and an integral part of all armed conflicts of the past few years and has proven its efficiency in the Russian air task force’s operation in Syria. Russia’s electronic warfare history dates back to the Russo-Japanese War. Specifically, on April 15, 1904, when a squadron of Japanese warships was shelling the inner harbor of Port Arthur, radio stations of the Russian battleship Pobeda and the coastal post Zolotaya Gora caused interference to the enemy’s radio communications to seriously impair the transmission of telegrams by hostile fire-control vessels. As Russian Deputy Defense Minister Yuri Borisov said, all military conflicts show that electronic warfare means are most of all effective and in great demand in troops in all areas. 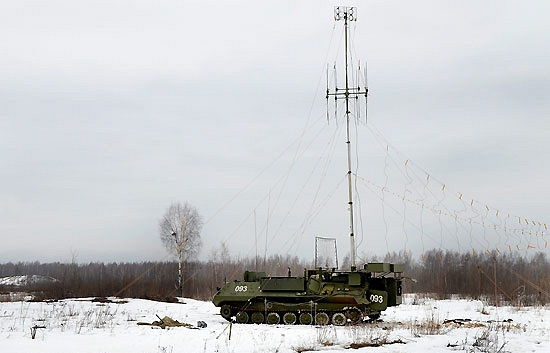 According to Russia’s Electronic Warfare Force Commander Major-General Yuri Lastochkin, modern Russian military technology surpasses Western rivals by a number of characteristics, including the range of its operation. This is achieved through the use of more powerful transmitters and more effective antenna systems. Considerable attention is also paid to developing platforms with unmanned aerial vehicles. A specialized Electronic Warfare practice range is planned to be created by 2018. As former Electronic Warfare Chief of the Russian Air Force and currently adviser to the First Deputy CEO of Radio-Electronic Technologies Group (KRET, part of state hi-tech corporation Rostec) Vladimir Mikheyev told TASS, the aircraft’s survivability increases by 20-25 times with modern EW platforms. In case of any danger, the route can be corrected to prevent the defended plane from entering the zone of fire engagement and ensure electromagnetic impairment (suppression) of an enemy’s most dangerous air defense weapons and aircraft while increasing the combat effectiveness of its own means of destruction. domestically-made special and civil aircraft and helicopters. In the future, the Vitebsk defensive aids systems will be mounted on military transport aircraft like the Ilyushin Il-76MD-90A plane. The system also has its export version called President-S. It is in great demand on the external market and is supplied to a whole number of countries operating Russian aircraft. This is a specialized helicopter-borne jammer tasked with conducting electronic suppression and creating a deceptive environment to provide cover for friendly fixed-wing or rotocraft and protect the most important ground facilities. The Rychag-AV is capable of fully ‘blinding” the enemy within a radius of several hundred kilometers and suppressing several targets at a time. The helicopter’s jamming deprives enemy air defense missile systems and airborne interceptors of the possibility to detect any targets and guide air-to-air, surface-to-air and air-to-surface missiles towards them while the survivability and the combat efficiency of friendly aircraft increase considerably. Specialized Mi-8MTPR-1 helicopters fitted out with Rychag EW systems are currently being supplied to the Russian Defense Ministry. Overall, the Russian military has ordered 18 such platforms. A serial production of the upgraded Rychag-AVM version may begin in coming years. 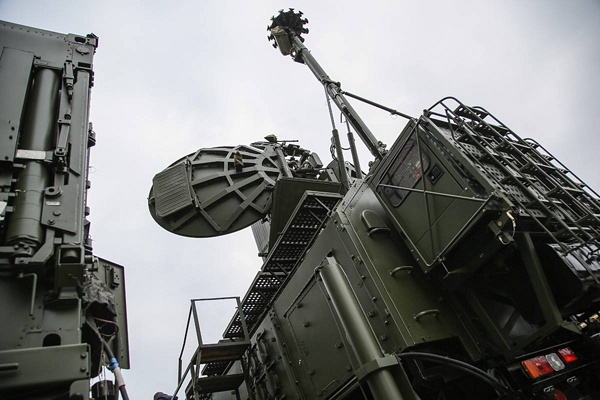 The Khibiny electronic warfare system was made operational in the Russian Armed Forces in 2013 to defend aircraft against air defense systems. The Khibiny EW system differs from the previous-generation technology by its increased power and intelligence capability. It can assist in aircraft weapons control, create a deceptive electronic environment and help break through an enemy’s layered air defenses. This is what happened with the US destroyer Donald Cook in 2014 when the warship’s air defense systems locked on a Russian Su-24 plane. The data appearing on the warship’s radars put the crew at a loss: the aircraft would now and then disappear from radar screens or suddenly change its location and speed or create electronic clones of additional targets while the destroyer’s information and weaponry control combat systems were actually disabled. 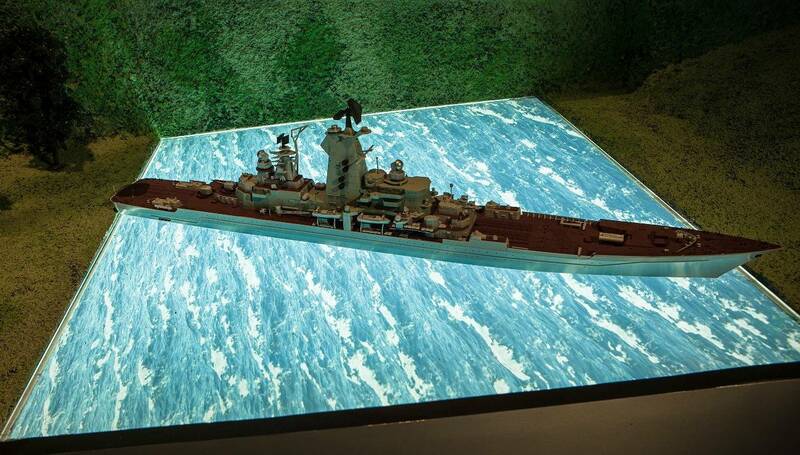 Considering that the warship was in the Black Sea some 12,000 kilometers away from the US territory, it was not difficult to imagine what the destroyer’s crew felt. Now a new complex, the Khibiny-U, is in development for frontline aviation, in particular, for Su-30SM aircraft. This system is derived from the Khibiny technology and is designed for the fifth-generation T-50 (PAK FA) aircraft. As compared to its predecessor Khibiny, which is shaped as a container mounted on a specific wingtip hardpoint, the Gimalai platform is fully integrated with the aircraft’s body and designed as individual parts of the plane’s fuselage. The EW system’s antennae are based on the “smart skin” principle and allow performing several functions at a time: reconnaissance, electronic warfare, detection, etc. The system can generate active and passive jamming of modern missile infrared homing heads and can also jam modern and advanced radar stations. 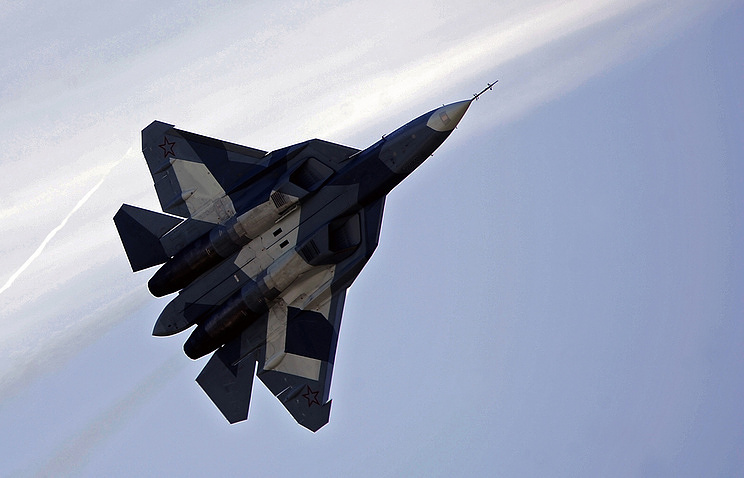 This system’s characteristics are secret so far while the T-50 aircraft is Russia’s most advanced fighter and has not yet entered into service with the Russian Aerospace Force. Modern ground-based EW systems feature digital signal processing techniques that help raise their efficiency significantly. According to adviser to the KRET First Deputy CEO Mikheyev, an EW station operator previously had to determine the type of a tracked target on his own, using the characteristics of the reconnoitered signal, and choose the relevant type of electromagnetic interference. This system incorporates the best of previous-generation EW technologies. Specifically, the Krasukha-S4 has inherited a unique antenna system from its predecessor, the SPN-30 jamming station. Almost complete automation is another advantage of the new EW system. The platform was previously operated manually whereas the Krasukha-4 implements the principle: “don’t interfere with military hardware and it won’t let you down,” i.e. the operator’s role boils down to the role of an observer while centralized automated control is the technology’s main operation regime. The Krasukha-4 is designed to provide protection for command posts, force groupings, air defense means, important industrial facilities from aerial radar reconnaissance and precision weapons. The system’s broadband active jamming station is capable of effectively fighting all modern radars used by various aircraft, and also cruise missiles and unmanned aerial vehicles. This version is designed for electronic jamming of the US airborne warning and control system (AWACS), which is the most powerful surveillance and control aircraft with a whole team on its board. A lot of energy is needed to “blind” this aircraft. The power and intelligence of the Krasukha-2O system will suffice to fight this aircraft. The entire system is deployed within several minutes without a man’s participation, after which it is capable of disabling an AWACS at a distance of several hundred kilometers. 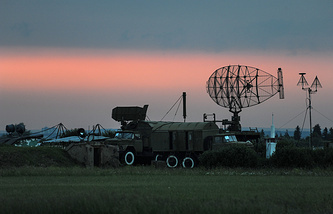 The system is designed for radar reconnaissance (passive radiolocation), interaction and information exchange with command posts of air defense missile troops and radio-technical forces, air direction centers, the provision of target acquisition data and control of jamming units and individual electronic suppression means. ensure feedback control of the operational efficiency of EW units and individual means it manages. The Moskva systems debuted in joint tactical drills of air defense forces and aircraft in the Astrakhan Region in south Russia in March 2016. The system, which has been developed by the United Instrument-Making Corporation, provides electronic intelligence and radio suppression, the protection of manpower, armored and motor vehicles against targeted fire from close combat weapons and grenade launchers, and also against radio-controlled mines. The broadband radio intelligence equipment considerably increases the radius of protecting mobile systems from radio-controlled mines. The possibility of creating aerosol screens helps shelter military hardware from precision weapons with video and laser guidance systems. At present, these EW systems mounted on the unified K1Sh1 wheeled chassis (based on the BTR-80 armored personnel carrier) are serial-produced and supplied to various units of the Russian Army. This electronic suppression system also developed by the United Instrument-Making Corporation is the technical backbone of EW tactical formations. 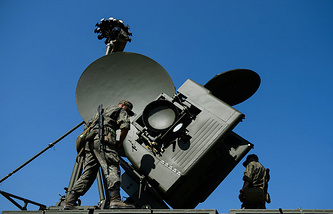 The Borisoglebsk-2 is designed for electronic intelligence and the suppression of short-wave and ultra-short-wave frequencies of ground-based and airborne radio communications, subscriber cellular and trunk communication terminals in the tactical and operations tactical elements of command and control. The EW system is based on three types of jamming stations and a control post mounted on MT-LBu armored carriers that serve as the traditional tracked basis for ground electronic warfare means. Each set comprises up to nine items of mobile hardware. The Borisoglebsk-2 incorporates principally new technical solutions of designing radio intelligence means and automated control systems. Specifically, the system features broadband energetically and structurally concealed signals providing for jam-resistant and high-speed data transmission. The range of reconnoitered and suppressed frequencies has been more than doubled compared with jamming stations supplied earlier while the speed of frequency detection has increased by more than 100 times. These systems are designed for protecting warships of various classes from reconnaissance and firepower destruction. A special set of EW means exists for each warship, depending on its type, displacement and combat missions. devices for shooting down decoys and other dummies. All these systems are integrated with shipborne firepower and information means for increasing warships’ survivability and combat efficiency. These are the basic shipborne EW systems. They are intended to provide protection against airborne and shipborne radio-controlled weapons by way of active and passive jamming. The TK-25E generates impulse deceptive interference, using digital copies of signals for warships of all the basic classes. The system can simultaneously analyze up to 256 targets and provide effective protection for a warship. The MP-405E is intended for small displacement warships. It is capable of preempting detection, analyzing and classifying the types of emitting radio-electronic means and their carrier by the degree of danger, and providing electronic suppression of all of an enemy’s modern and advanced reconnaissance and weapon systems.